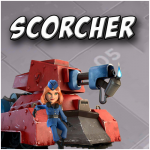 Explosive Charges max lvl | Boom Beach. All about the Game! 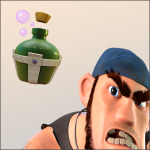 Explosive Charges is one of the least used heroes’ ability in Boom Beach. Such a conclusion I made based on the results of the poll that I conducted on the pages of my blog (you can take part into the poll, and view the results here). But is this ability so bad? Is the Explosive Charges so useless? These questions bothered me and I decided to check everything myself. First of all I upgraded Explosive Charges ability to the maximal 5 level. Damage characteristics of 5 level explosive are next: initial damage – 13 800; shrapnel damage – 7 400. In other words, the Explosive Charges has relatively good damage power on the maximal level! 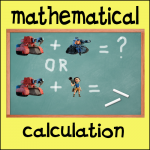 For example, Rocket Launcher of 14 (max) level has only 12 980 of health and can be destroyed by only one bomb… If to compare Explosive Charges with Gunboat Artillery – the first is twice as powerful (damage of 22 lvl Artillery is 6 264). Great result, isn’t it? 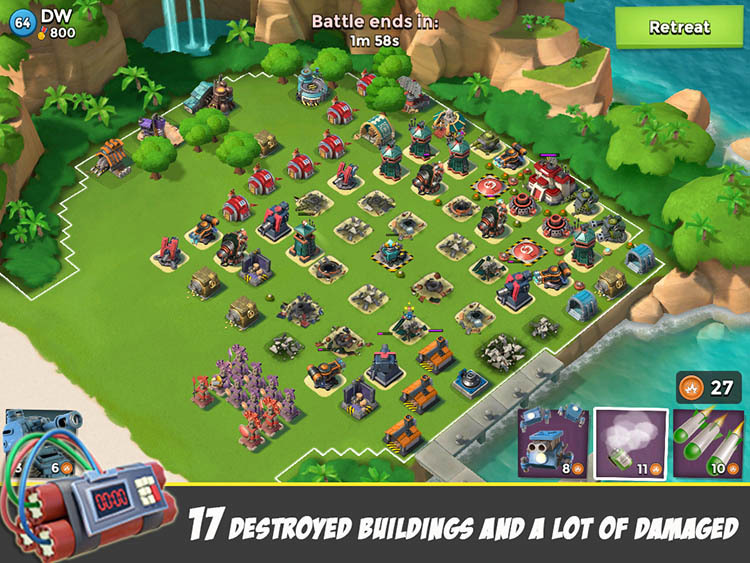 The base was completely destroyed by only Cpt. 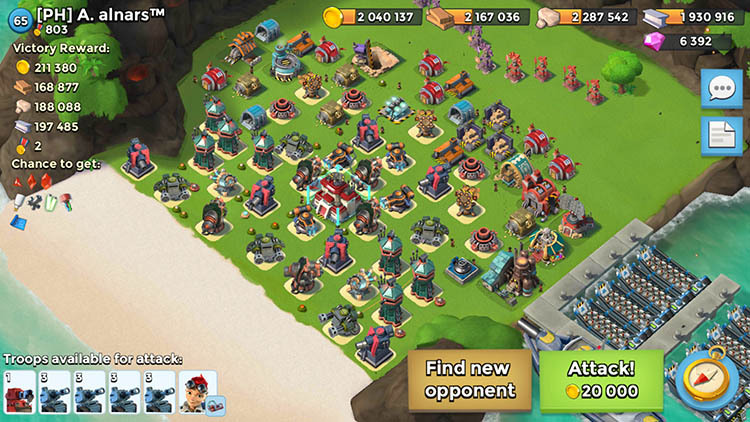 Everspark with no any support from Gunboat (except of Smoke Screens)… No troops! No Artillery! No Barrage! No Shock Bombs! 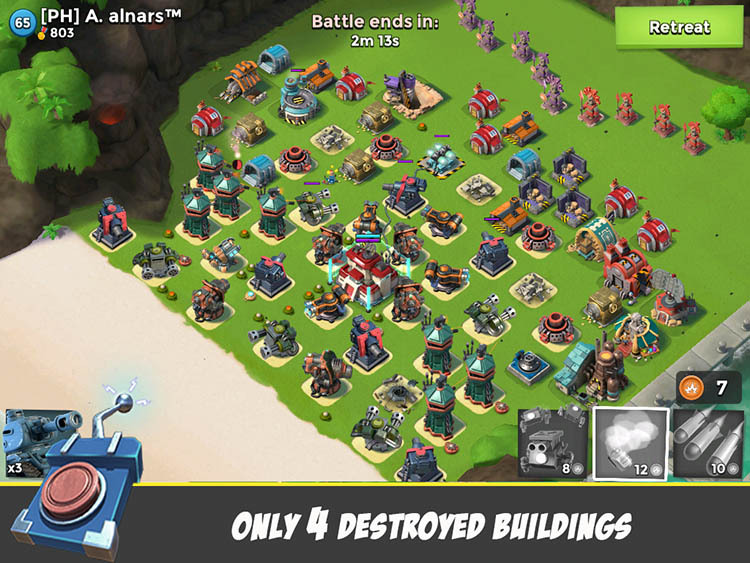 Only Everspark! Universal Remote – an ability that is the most comparable with the Explosive Charges (the same principle of use). 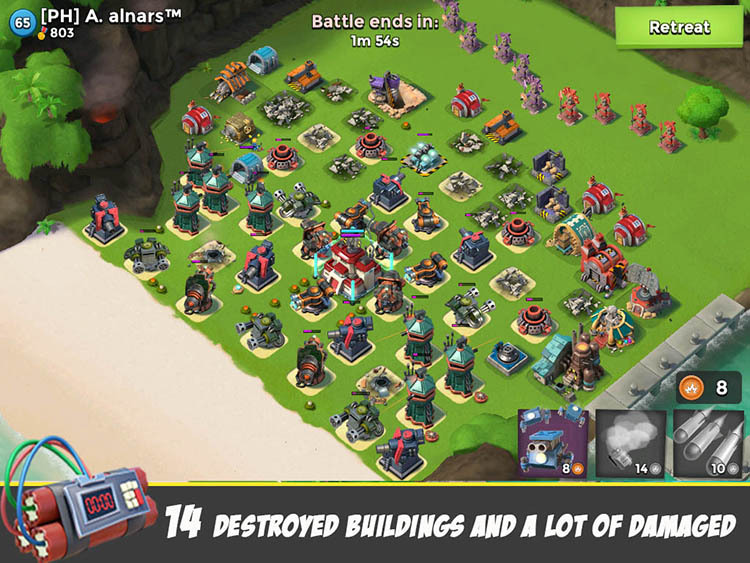 With the help of Universal Remote, players often hack the most dangerous enemy defensive weapons before troops landing. But! Universal remote requires much more energy! The first use of the ability consumes 8 units of energy and each next – consumes on 7 of energy more (second 15, third – 22, etc.). 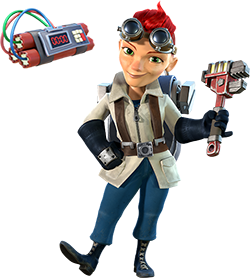 In the same time, the first use of Explosive Charges consumes only 6 of energy, and each next requires only 4 of energy more. Let’s imagine that we will attack that bases with “infantry” (RZMC, for example) and we need to eliminate all Shock Launchers (SL) and Rocket Launchers (RL). In the case of TF operations, use or not to use Explosive Charges ability depends on operations difficulty. 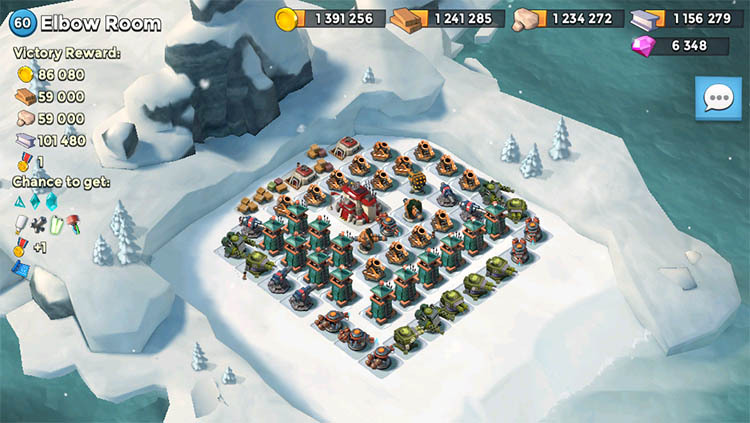 In the simple ones, where there is no substantial boost of Ice Statues, the Explosive Charge can be used with good effectiveness. 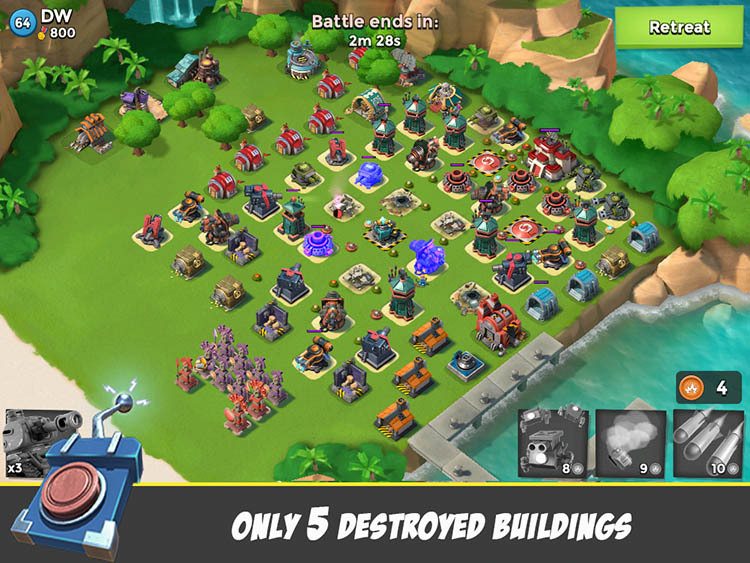 But in difficult TF operations, where health of defensive buildings increased on 300%-400% by boosted Ice, it is better to use Universal Remote ability. That’s all! 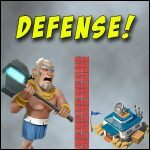 Hope this post helped to change your opinion about Explosive Charges ability of Cpt. Everspark! Frankly speaking, I’ve almost never used this ability before. But now, after upgrading it to max level, I use it regularly! 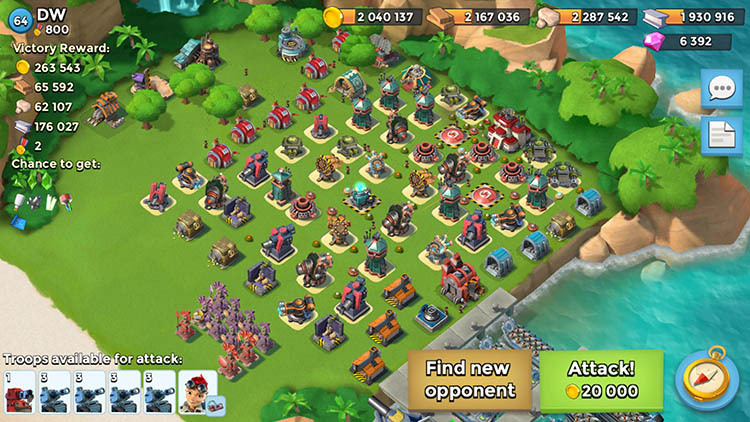 This entry was posted in ATTACK, UNITS. Bookmark the permalink. 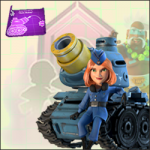 The Explosive Charge can be spammed just like with a max level Universal Remote, regardless of what level the Charge is.